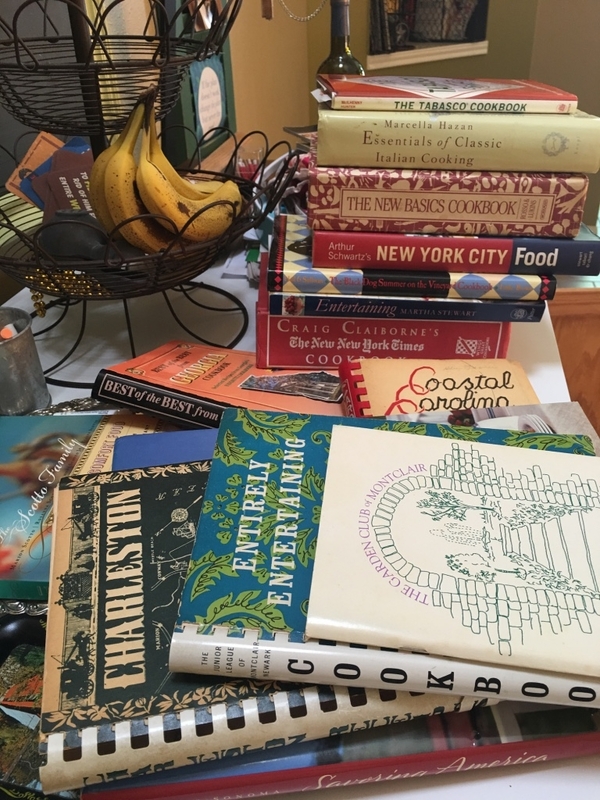 I love recipes and have piles of cookbooks that have been given to me by family over the years. 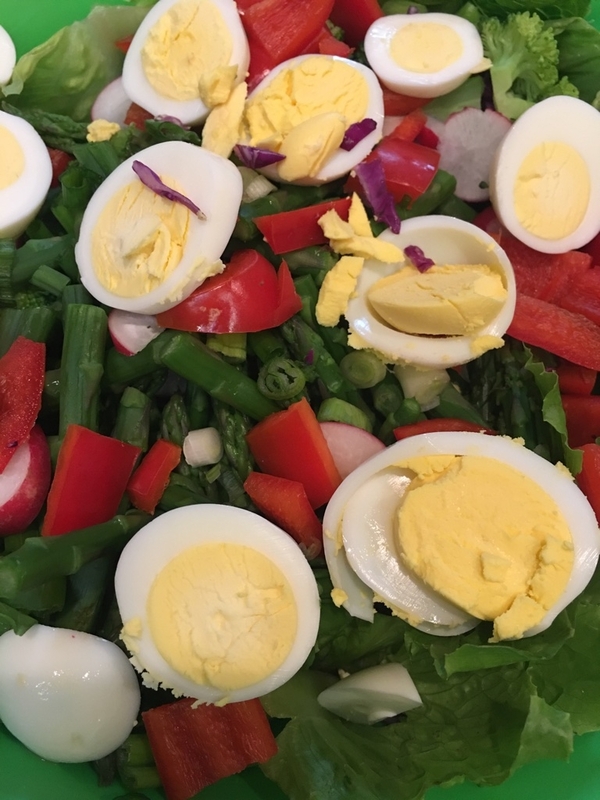 Carrots, broccoli, red cabbage, French green beans, green onions, snap peas, red bell pepper, radishes and asparagus, sunflower seeds, hard-boiled eggs and a fig & walnut oil dressing. (An aside on the eggs: I only found out about pre-packaged hard-boiled eggs last summer. I must have been living under a rock. They are fantastic if you are making deviled eggs. They are also nice to keep as a staple in the fridge because you can eat one with breakfast or lunch and add them to salads. I love sliced egg in a tuna salad sandwich). Once home, I proceeded to forget all about the French beans and snap peas as I set about assembling the salad without them as they sat in the fridge. I cleaned and chopped two heads of Romaine and place the leaves in a large bowl. In turns, I steamed the carrots, broccoli and asparagus and then blanched them, placing the veggies on a towel to dry. (A note on asparagus: rinse the stalks and then snap them by holding the hard end between a thumb and forefinger and with the opposite forefinger press down on the fringed end. Lose the bottoms of the stalks and cook the part that snapped off.) I added these steamed veggies to the base, reserving extra in storage bags for the fridge. Then I chopped up the red pepper, radishes and some green onions, placing those in the bowl. I sliced off a little bit of red cabbage, diced it and sprinkled it over the salad. Finally, I sliced up three of the hard-boiled eggs and placed them across the top. I carried the sunflower seeds and salad dressing to the party for two reasons. One, some people cannot eat seeds so it is better to let people add them to their salads if they like. Two, don’t dress a salad until you are about to serve it. Plus, some people really prefer to dress their own salad. As for the green beans and snap peas, I made a stir fry the next night. I might make this again in exactly the same way or maybe not. The next time I am making a salad for a dinner party, I may consult a cookbook. Or, I’ll just make up something else entirely. The point is to have fun with food and entertaining.